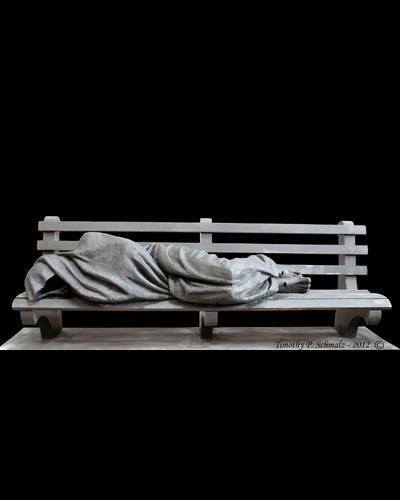 “Homeless Jesus” sculpture presented to Pope Francis by contemporary Christian artist, Timothy Schmalz. This image reminds me of a section of Lindisfarne Community’s prayer office which suggests a prayer for “All who have no one to pray for them”……. A powerful image. Thanks for posting it. What a remarkable sculpture. This time of year, it’s good to be reminded. The first serious cold front of the year arrived today, and all around the city there are people who are shivering. Some will find shelter at various places. Others will not. All need someone to care – and to help provide food and warmth.